I always wanted to go to the Great Jack O’Lantern Blaze in New York State but somehow never got around to it. 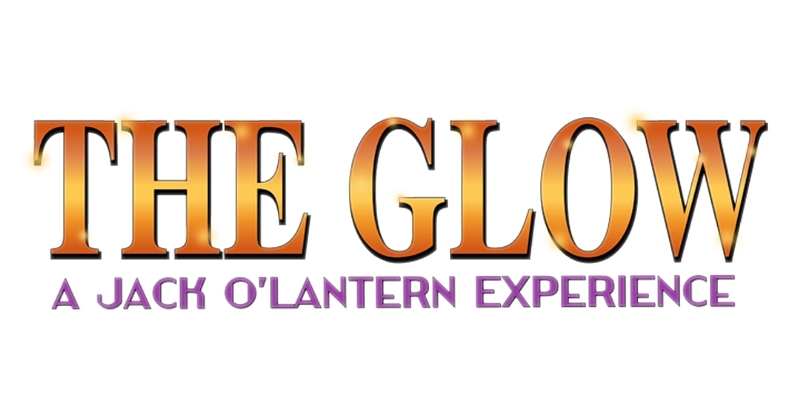 Now, The Glow : A Jack O’Lantern Experience is coming to New Jersey! 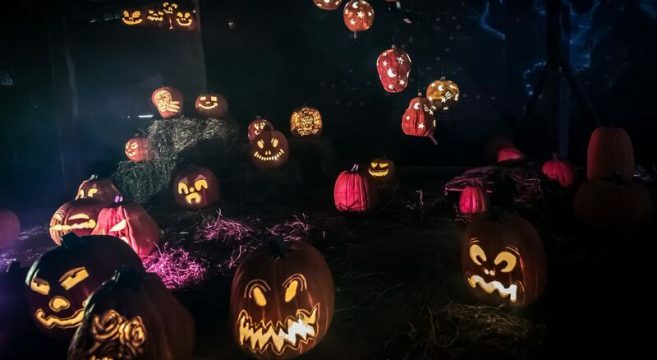 There is something for everyone who visits THE GLOW: A Jack O’Lantern Experience this fall at Monmouth Park Racetrack in Oceanport, New Jersey. 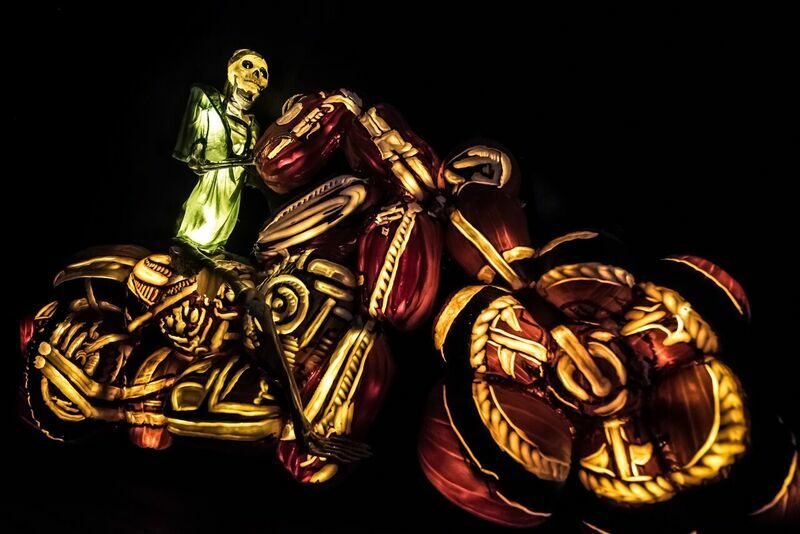 Presented by Townsquare Live Events, and set to open October 7th and run during weekends throughout the month, THE GLOW promises a family-friendly, immersive Halloween stroll along a trail illuminated by more than 5,000 hand-carved Jack O’Lanterns. This Halloween happening will delight visitors as they are surrounded by thousands of intricately-carved pumpkins dangling above and along the quarter-mile walk. In the Pre-Historic Park, Jack O’Lantern dinosaurs stand up to 16 feet tall. Captain Jack and his band of marauders helm a 30-foot-long pirate ship, complete with skeletons and pumpkin pirates. In the pumpkin graveyard, guests will encounter black cats, ghosts and gravestones. The Jersey Jaunt illuminates some of the Garden State’s most notables. Squash look-a-likes include rock stars, sports figures and gangsters including Tony Soprano, Eli Manning, Derek Jeter, Bruce Springsteen, Bon Jovi and Frankie Valli. In the spirit of the forthcoming presidential election, in Politicians Row, candidates will appear as never before in all their pumpkin glory, even a Trumpkin! Homage will be paid to past Presidents Reagan, Bush, Clinton, Obama and more.